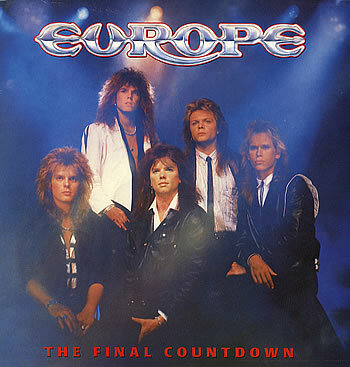 "The Final Countdown" is a song by the Swedish band Europe, released in 1986. Written by Joey Tempest, it was the first single from the band's third studio album which was also named The Final Countdown. The song reached No. 1 in 25 countries, including the United Kingdom, and was certified gold in the United Kingdom in 1986. In the United States the song peaked at No. 8 on the Billboard Hot 100 and 18 on the Billboard Mainstream Rock Tracks chart.